Swim in the ocean, swim in the pool, just don’t try to swim in both at the same time. 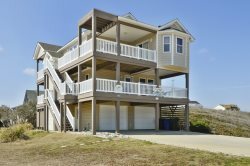 These Outer Banks vacations rentals are a favorite among the kiddos. Each of these rentals has their own private pool. Some even have tiki-bars!